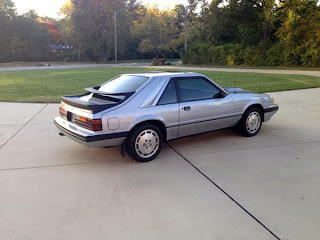 The poor Fox bodied (3rd generation) Mustang. It was, in every way imaginable, a vast improvement over the car it replaced, the Mustang II. 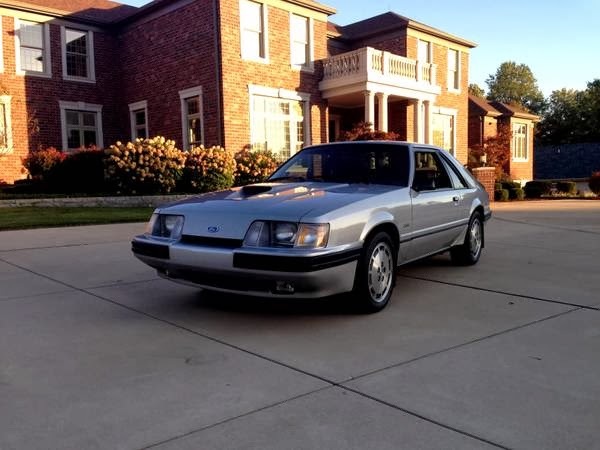 But, in 1994 Ford introduced the 4th generation Mustang, which had an improved chassis and, most importantly, looked like a Mustang. It quickly made the 3rd generation cars look and feel old. The one 3rd generation Mustang that still feels up to date is this one, the Mustang SVO. Ford was concerned about what another oil crisis would do to the sales of the Mustang. They also wanted to create a car that could compete, both in performance and technology, with the sporty coupes coming from Japan and Europe. 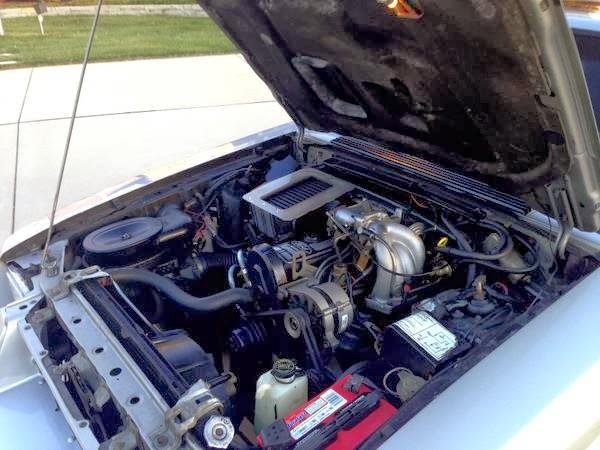 Ford's Special Vehicle Operations (SVO) Department took Ford's 2.3 liter 4, originally used in the Pinto, updated it, strengthened it, and attached fuel injection and an intercooled turbocharger to it. It put out 175 HP, which was fairly impressive for a 4 cylinder engine in 1984. 60 MPH came in 7.8 seconds, making about 1 second slower than than a V8 Mustang. 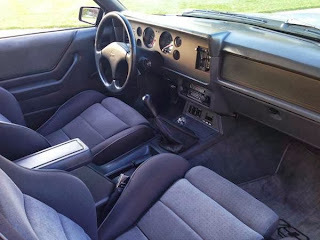 Ford added a Hurst shifter, significantly tweaked the suspension and steering, added 4 wheel disc brakes and a more aggressive wheel and tire package. Another cool little feature (and very advanced for the time) was the "fuel grade" switch on the dash. This allowed driver to adjust the vehicle's performance level depending on whether premium or regular gas was being used. For the most part Ford succeeded in what they set out to do. Unfortunately, all that technology, along with the upgraded interior and some dubious body add-ons, came at a price. The SVO cost significantly more than a V8 Mustang and many of the cars it was designed to compete with. After just 3 years, Ford dropped it. The seller is listed on the Columbia, SC, Craigslist site, but is located in St. Louis, MO. Click here to see the listing.